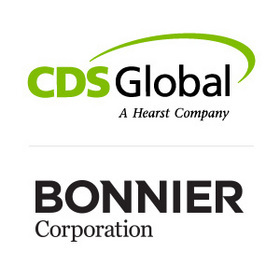 DES MOINES, IA--(Marketwired - Oct 7, 2013) - Bonnier Corp. and CDS Global announced today a partnership for print and digital magazine business processing. The collaboration combines CDS Global's expertise in subscriber solutions with Bonnier's ongoing commitment to delivering content across channels to their growing audience. CDS Global, a wholly owned subsidiary of Hearst Corporation, will provide extensive business processing solutions, including database services, fulfillment, customer service, mailing services and business intelligence, for Bonnier's portfolio of 30 award-winning, special-interest magazine brands. "Bonnier is pushing the envelope in terms of serving consumers in this exciting new world of 24-hour consumption on multiple delivery platforms," said Bonnier Corp. CEO Dave Freygang. "In both strategy and implementation, CDS Global has focused on the customer experience and the new ways in which content is consumed. With their commitment to technology and innovation, we know they will be a wonderful and enduring partner in our success." This partnership with CDS Global will create a valuable consumer experience for Bonnier, driving engagement with their customers on smartphones, tablets, online and through print publications. Readers will receive access to magazines anywhere at any time on any device, as well as further exposure to related multimedia content and events. "CDS Global is honored to have among its clients such a great and innovative company as Bonnier," said CDS Global Chairman and CEO Malcolm Netburn. "Their focus on delivering exceptional value in print, digitally and with products and services makes them an exceptional media company. Bonnier has long been an industry leader, and we are proud to work with them on their ongoing initiatives and forward-thinking approaches across platforms." Bonnier Corp. (www.bonniercorp.com) is one of the largest consumer-publishing groups in the U.S. and is the leading media company serving passionate, highly engaged audiences, through magazines, events, digital media and leading-edge products. Bonnier Corp. is the U.S. division of the Bonnier Group (www.bonnier.com), an international media group active in television, newspapers, magazines, movies, books and digital media. For more than 40 years, CDS Global has been a leading provider of outsourced business solutions to multiple industries, delivering an array of innovative and flexible eCommerce, order management, fulfillment, payment processing and marketing services. The company's comprehensive and integrated suite of solutions maximizes the value of data, effectively managing the interactions that CDS Global clients have with their customers and creating a positive impact on each organization's bottom line. CDS Global is a wholly owned subsidiary of Hearst Corporation, one of the nation's largest diversified media and information companies. Corporate headquarters are located in Des Moines, Iowa, with offices across Iowa and in Arizona, New York, Pennsylvania, Texas, Australia, Canada and the United Kingdom. Bonnier Corp. selects CDS Global as their print and digital magazine business solutions provider for database services, fulfillment, customer service, mailing services, business intelligence and more.